Despite her tragically brief life, Vítezslava Kaprálová is now considered the most important female Czech composer of the 20th century, her prolific output, abundant with fresh and bold ideas, passion, tenderness and youthful energy. This in-depth exploration, representing some of the very best of her music, includes early gems such as the April Preludes, the exquisite and sophisticated Variations, the remarkable Sonata appassionata and her final Dance for piano, reconstructed by Giorgio Koukl from its only surviving sketch. 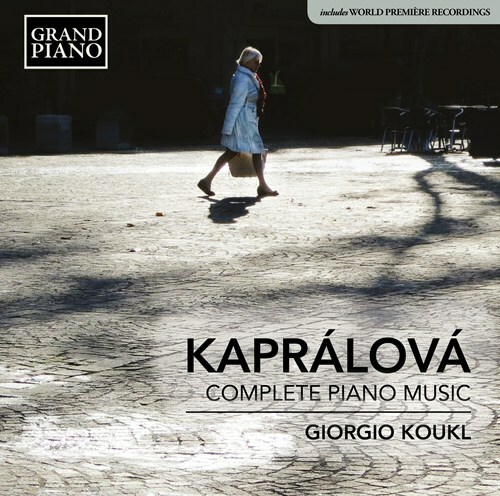 If you like Kaprálová: Complete Piano Music, please tell your friends! You can easily share this page directly on Facebook, Twitter and via e-mail below.